Rumors went wild online that Kirk Cox planned to compromise on gun confiscation bills during this year’s session. A post on Facebook accused him of cutting a backroom deal with Democrats. However, Cox was quick to act by declaring his stance early Tuesday morning. 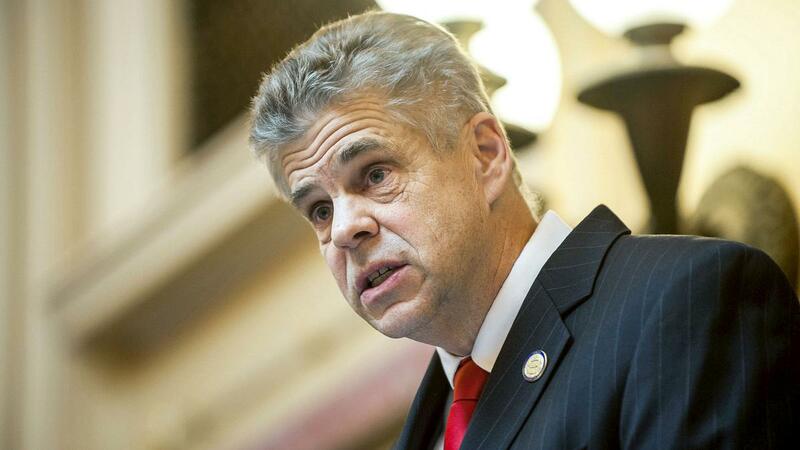 Tuesday morning, Republican Speaker Kirk Cox responded to the online rumors. Facebook posts accused Cox of striking a backroom deal with Democrat Governor Ralph Northam. Released by the Virginia Constitutional Conservatives early on Monday, the post was spreading rapidly and generating outrage among Virginia voters. The accusation came soon after Northam announced a major gun confiscation agenda that he hopes to pass during this year’s session. Cox then appeared on the John Fredericks Show Tuesday morning to address the story. Stating the post was false, Cox also described the experience as very frustrating. “I speak with the governor, obviously. There are things that we have worked on as far as compromises go that are key things.” Cox went on to explain, but stated that he was very clear with Northam about his stance on gun policy. Following the interview, Virginia Constitutional Conservatives (VCC) posted another update on Facebook. The VCC also announced a watchdog program to monitor various anti-gun bills as they travel through the General Assembly. VCC Director Chris Anders explained he was glad that Speaker Cox had gone on record regarding the Second Amendment, but that his group still had work to do. “Hillary Clinton said she supported the Second Amendment” Anders stated, “There’s a lot to unpack from Northam’s agenda and we’ll be keeping a close eye on things”. For more of the latest headlines from Virginia subscribe to New Virginia Press below. Guy who broke his promise not push Obamacare now promises not to push gun control…. OKAY. Glad to hear that the Virginia Constitutional Conservatives got Speaker Cox to say he will oppose anti-Second Amendment legislation. Getting elected officials to go on record, and then holding them accountable, is the best antidote to backroom deals. Keep the sunlight shining on our politicians VCC! Time will tell, which face is telling the truth. Any new gun laws and especially confiscation is 100% unconstitutional! Any law maker that votes for or allows this to happen are in violation of their oath of office. To support such an unlawful scheme is slap in the face of lawful gun owners everywhere. Why is it that law abiding citizens are the ones always punished for the crimes they never committed? Do you really think by taking my firearms it will in someway cause the murderer to suddenly decide to be a good person? That is ludicrous! The Constitution of the United States still means something to me and millions of others like me. Too many have died to protect those rights and it’s wrong for any politician to think he can just take them away because he doesn’t like what it says.